Are you a motoring enthusiast? 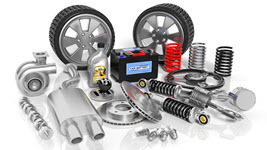 Do you sell car parts and tools? PACK & SEND can help you ship your automotive and manufacturing parts both domestically and internationally. Whatever vehicle part you’re sending, from wheels, tyres and rims to an engine or motor, the experienced team at PACK & SEND can ensure your package is delivered safely. With over 100 Service Centres across the country, your local PACK & SEND will not only find you a great price but will help you through the entire shipping process from packaging to delivery. Whether you sell parts or need to ship a unique piece off for repair, PACK & SEND has a range of international shipping options available via air and sea freight, as well as domestic couriers across the country ready to assist with your package.